When many people think of voice over work they immediately think of the voices that they've heard on the radio and radio commercials. If you're a bit more observant then you've noticed that the voice you hear on television commercials is often not "on camera." In fact the "announcer voice" has been recorded separately and added to the commercial at the end, after all the on-camera action has been filmed and edited. As a matter of fact, this is where the term "voice over" comes from: the narrative "voice" is added "over" the film or video. But beyond these fundamental uses of an announcer or narrator there are now many requirements for those disembodied voice over folks. Nowadays it seems like everything is talking to us. The technology to add voices to a wide variety of presentations and products has created a vast market for the folks that supply the voices--and there's gold in them thar hills. But where are the hills? Looking at the voice over market, it can broadly be divided into three big categories: narration, commercials and animation. Let's look at each one to see the kinds of work available. 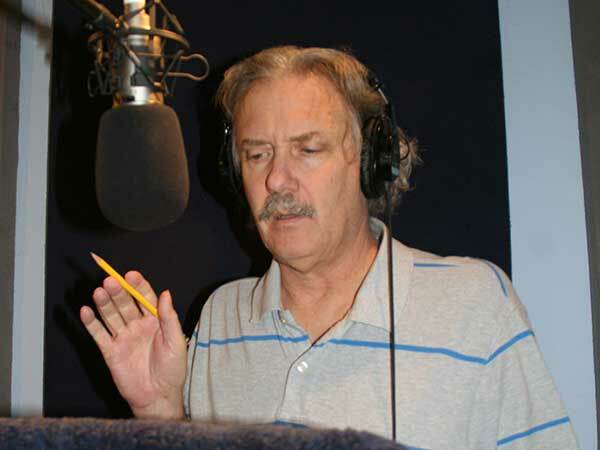 The broadest category of voice over work is narration and it covers a wide spectrum of jobs. These are longer format jobs that require a clear "spokesperson" type of voice. Sometimes the material requires the ability to pronounce "jargon" such as medical, chemical or electronic terms. Some narration can require more voice acting as you "tell a story," and some might even require character voices. The most basic narration is industrial narration; it is also the easiest work to get and is done virtually everywhere. This is a wide variety of programs used for corporate advertising or training. It can further be broken down into business-to-business and business-to consumer. If you've ever attended any type of trade show then you've seen business-to-business presentations. It seems every trade booth has a TV with a looped DVD describing the features of their products. Such presentations can also be mailed to clients or presented on the internet. Business-to consumer narration is used when companies try to reach the end user. "How to assemble your new exercise equipment" and such. Listen to late-night TV and note how many companies want to send you their "free DVD." Guess what? All of these have voice overs. One thing that has increased the opportunities in narration is the proliferation of inexpensive video equipment. It is now possible to buy a broadcast quality video camera and the computer and software required to edit the video content for the same price as a not-so-great used car. We now see many companies replacing paper-based sales or educational materials with in-house video and supplying that material on DVD, on podcast or on the internet. A second area of narration is Audiobooks (or "books on tape"). These can be novels or self-help and instructional books. Wander into Barnes and Noble sometime and check out the books on tape section. It's quite popular with people who have a lot of "windshield time"--people who drive a lot. This type of work seems to be available in Los Angeles and New York but there are smaller projects recorded all over the country, usually self-help or educational books: "How I Made a Million by Selling a Book Called How I Made a Million!" Performances can range from warm folksy story telling reads, to hard-sell excited reads, to voice acting and character work. Finally at the top of the narration pyramid is film and television narration. 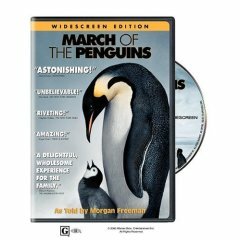 We've all seen nature shows on cable TV and listen to Morgan Freeman describe "The March of the Penguins." This type of work is often located closer to the major media producers but as technology advances it is being produced in more areas. Many local TV stations and Public Television stations produce programming that is targeted to regional interests or that is produced locally and then distributed nationally. In addition many of the "reality" tv shows are created in a wide variety of locales and require local hosting and narration talent. All reality shows need strong narration to tie the show together. The increase in more "niche" oriented specialized cable and satellite TV channels will broaden the need for voice over hosting of these shows. so how do I get work in narration? You should take commercial voice over classes until you and your instructors feel that you are skilled enough to compete in your area. Then you should produce your voice-over demo. The voice-over demo is your calling card in the world of voice-over. Once you have a top-notch demo you should send it to production companies and advertising agencies in your area. I use the Yellow Pages to locate them under Advertising Agencies and Video Production Services. You should also enclose a cover letter introducing yourself and a resume of any voice-over experience that you have. If you have no experience just leave the resume out--it won't be missed. Your demo can be on CD or emailed in MP3 format. (I never send an unsolicited email with a demo attached--that's considered bad etiquette and... call, write or email them first!) Usually if they ask for an MP3 I'll send a CD as well by snail-mail. People are notorious about tossing emails but they'll hold on to a CD forever. You can also locate characterwork through either of the two online voice over job posting sites: voice123.com and voices.com. Both services are free to try out but require a fee to truly utilize. You'll get many leads for voice over jobs to audition for each week and the jobs have quite fair pay rates. Do I need to be in the unions or get an agent? Well, yes and no! Most of the local industrial and local and regional television and internet jobs are non-union. They are also jobs that you can locate yourself either online or in your area. The larger jobs of narration for national network or cable shows will probably require an agent to audition for. Start with the smaller jobs and build your skills and your credits. Then think about obtaining an agent to chase the big jobs. There's world of opportunities out there for a well-trained voice over talent. So don't limit your thinking. Explore animation, commercials and narration and have an exciting and varied career! voice over, or voiceover ? So how exactly do you SPELL voice over? You'll see it spelled several ways. Originally it was hyphenated which is technically correct because the term was a combination of nouns used as an adjective like man-on-the-street: voice-over recording or voice-over performance. Later it got turned into a noun made of two words: that was a great voice over. And as often happens to compound nouns it got combined into one word (like weathervane or doghouse): voiceover. Google seems to like it as two words: Did you mean: voice over. (google doesn't like weather vane!) Bottom line... all three variations are acceptable so pick whichever you like.